DH-485 is a local area network (LAN) made application in factory settings. DH-485 provides up to 32 devices, including SLC 500 and MicroLogix 1000 controllers, graphic terminals, and PCs. The DH-485 link along with RS-232-C (DF1 protocol) links is what makes up the DH-485 network. Communication between nodes is done through RSLinx software. The DH-485 communication network provides a way for devices on the factory floor to share information. 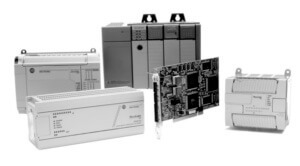 Monitor process and device parameters and status, including fault and alarm detection. PLC programs can be upload/download via the network. DH-485 can connect with up to 32 nodes, token passing access control. DH-485 supports slave devices and features multiple-master capability.